Kumaresh, is an icon of Carnatic Music, Child Prodigy, Violin Virtuoso, Divine Composer, Lyricist, Music Director, who has been captivating people through his music for the last 4 decades with his extraordinary mastery over the Art, he has been continuously discovering new ways of taking this ancient art form to a global audience. While he doesn't compromise the sanctity, he is constantly exploring new shades in the broad spectrum ensuring that each time his music is a remembered experience. “ Flights of Anjaneya “ Dedicated to all those, who are free-spirited and are stretching their boundaries again and again. 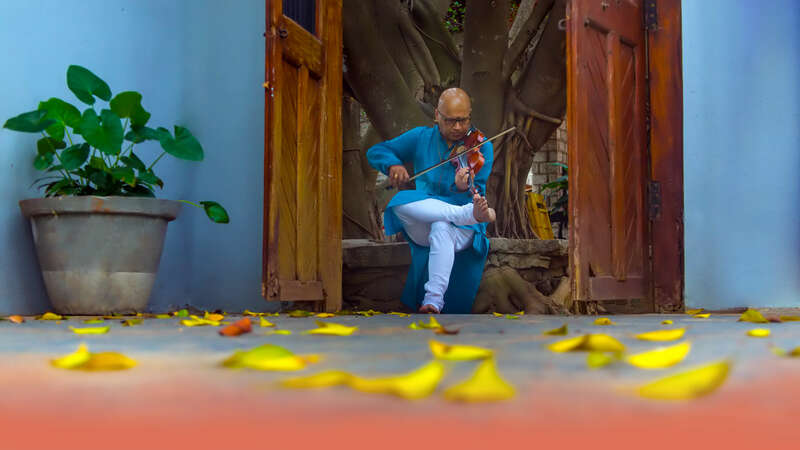 Without the right technique, talent may not be able to put to full use, says violinist R. Kumaresh, who begins a workshop for advanced students of violin, today.